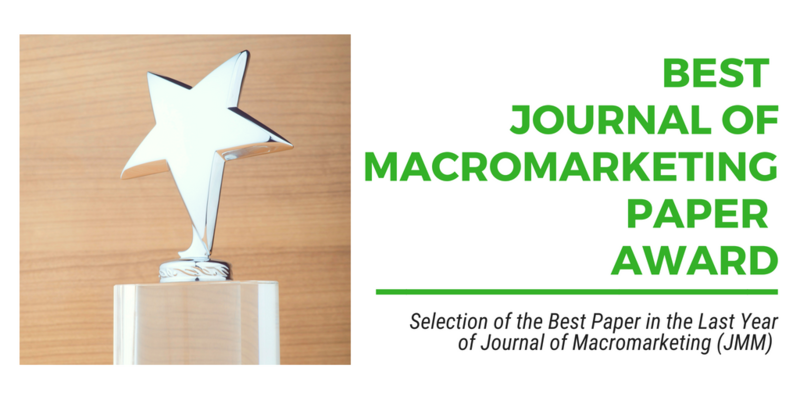 This is an award given to the authors(s) of the best paper published in previous year in the Quality of Life (QOL) section of the Journal of Macromarketing (JMM). This award is given at the annual ISQOLS Conference. The process is determined by requesting that the QOL Section Editor (in consultation with the JMM Editor-in-Chief and JMM Editorial Review Board) nominate one potential paper for the award. The Nomination has to be approved by a simple majority vote of the Board of Directors (with at least 25% of the Directors voting).